A cursory glance anywhere on the internet, really, will indicate one thing to you about buying old video games: it’s getting expensive. We take a look at the rising cost of retro games. A cursory glance anywhere on the internet, really, will indicate one thing to you about buying old video games: it’s getting expensive. People everywhere are becoming savvy to the concept that “those old Nintendo tapes have some value!” and it doesn’t look like it’s going away or reversing course anytime soon. There’s been countless articles written on the subject, on whether not it’s here to stay or just a ‘speculation bubble’ not unlike what comics suffered through in the 1990’s. However, in my time spent in a few different collector’s hobbies and my online discussions with fellow retro game enthusiasts, one common thread of thought appeared (and this is grossly simplified for ease of reading): maybe people just enjoy collecting stuff they enjoy? A handy chart, created by Roger Barry, that explains the issue using my favorite format: brightly colored lines and simple text! The long and short of it is this: demand for video games is going up, and as a result so are prices, especially now with the internet allowing us to more accurately chart and catalog a game’s rarity and average going rate. Sounds easy enough, but where is this demand coming from? The most likely culprit is that most dreaded and universal of human emotions: nostalgia, combined with a healthy dash of convenience. Consider this: despite their existence as an artform since at least the 1930s , comic book collecting didn’t really get into full swing until the 1960’s when specialty shops opened that sold comic books and comic books alone. While video games have nearly always had specialty shops (at least from the 1990s onward), the increase in comic collecting can be more closely likened in this context to the rise of eBay and Amazon as a marketplace for people to find buyers for whatever crap someone had in their attic. You see the same thing with many ’80s toy lines, such as GI Joe or Transformers (the latter of which I am a lifelong fan of, and is experiencing a similar growth in popularity and value). A Nintendo Age poster known as Tulpa posited that much of the current and rampant ’80s and ’90s nostalgia for collectibles stems from their previous ubiquity, putting forth the suggestion that “Toys and games and such were ingrained in our childhood identities more than previous generations. Not that it didn’t happen before (comic books,etc. ), but they really sold TV/movie tie-ins in the 80s.” Not hard to imagine, considering how many accusations were leveled against cartoons and movies being “long-form toy commercials”; now that we’re a bit older we finally have the money to catch up on all those toys we would see commercials for or games we would read about in magazines. That ubiquity and popularity is both bringing more gamers into the fold and directly affecting value, in some cases. 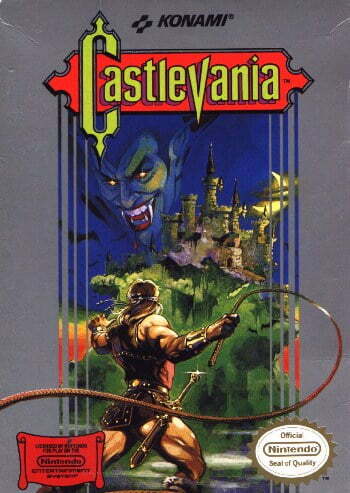 Let’s take NES vampire-whipping classic Castlevania for example. A great game, well regarded by many and pretty popular upon its original release, and not particularly scarce despite the pretty terrible distribution many NES games got in the system’s first few years of existence. eBay value tracking website Price Charting lists the lowest price within the span of tracked time as about $5 back in October of 2007 for a loose (cartridge-only) copy, and it has done nothing but climb steadily to its current average price today of $21.25. And this makes sense: as soon as someone decides to buy NES games, odds are Castlevania (or even other popular-but-not-rare games, like any of the NES Mega Man titles) is going to be on their ‘to-buy’ list, and both the asking price and the amount someone is willing to pay will go up. How much money would YOU offer a stranger on Craigslist for the privilege of pretending to be a pantsless warrior whipping a vampire? Wow, that much? “But wait”, you might be asking, “if you’re into collecting NES games wouldn’t you already know about/own Castlevania?”. Not so fast – another mistake is presuming that the entire audience for buying video games are people that are already in on the joke, such as it were. Nintendo Age forum-goer teh lurv suggested that “(y)ounger gamers (are) getting exposed to retro-games through current ‘retro throwback’ games like Shovel Knight”. Video games are as popular and widespread now as they’ve ever been, and now that the medium is old enough to the point where it can (for better or for worse) cannibalize itself to produce new content, many people are going to be curious as to the inspiration behind their current favorites. If you tell some kid that the earlier Adventure Time game for 3DS was heavily influenced by Zelda II: The Adventure of Link and that kid has access to a NES, is it unreasonable to assume they’re going to hit up garage sales and Craigslist to find a copy? New people are going to develop an interest in retrogaming nearly every day, and while it’s perhaps a bit cynical to assume there’s a sucker born every minute, it isn’t unreasonable to assume people are generally willing to pay what’s asked for something they want. Alright, so more people are buying old video games and that’s making them more expensive. Sounds almost kind of self-explanatory, right? Sometimes you need to point out some obvious truths to provide illumination. A lot of people are hoping the trends will reverse, and are pointing to the dreaded ‘s’ word to indicate why prices are climbing: speculation. But that may not exactly be the cause, or the solution. See, back in the early ’90s, comic prices were on the rise, and were the highest they’d been in some time, up until the second-hand market completely collapsed and values for a lot of titles plummeted. There’s plenty of people better-educated than myself you could ask about the subject, but the primary culprit seems to have been speculative buying. Comic companies would drum up a lot of interest in a title, and buyers would reach out to purchase as many copies as they could, hoping to have a new Detective Comics #27 on their hands. But comic companies played that hand too far and too often, and the short version of the story is that everyone wound up with a ton of useless copies of The Death of Superman that were barely worth the paper they were printed on. 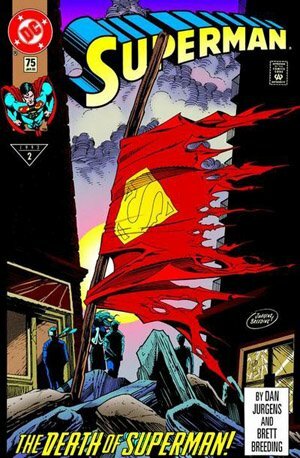 Superman died and everyone gave a crap. And then, shortly thereafter, NOBODY gave a crap. This can be attributed to a few factors: controlled distribution, too many copies produced, etc. Video games don’t quite work like that. 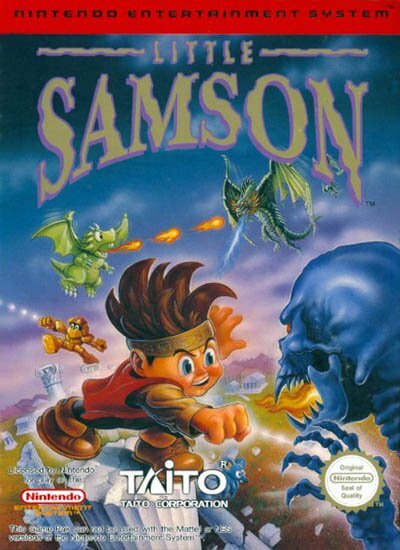 Any game for a system no longer in production is only going to have a set number of copies available, and as the internet has allowed us to get a better idea of how many numbers of, say, Little Samson were produced and distributed, we can then form a more accurate idea of how much Little Samson should be worth. People buying video games exclusively to re-sell them at a higher price, hoping they will get more valuable over time, rarely get their wish, as savvy customers either wait to see a cheaper one or wait until the seller is forced to lower their price. A cursory glance at eBay, for example, reveals than even the super-rare Little Samson is peaking at around $700, with few-to-no buyers for the number of auctions listed ay $800-$1,000. A singular example, of course, but it helps to illustrate how speculative buying tends to be defeated by a more limited availability of products and an informed buyer base (as opposed to the rampant bandwagon-hopping of comic collecting, which at the time was easier to get into). So what did we learn? Perhaps not much we didn’t already know, but that’s the point. Old games are simply getting more expensive due to popularity. There seems to more people in the world happy to track down an old copy of Mega Man X to play with their little sister just like they did as kids than there has been before, and most of the collectors I have seen and spoken to are usually just happy to own games they’re interested in. Scalpers and resellers may come and go, and the ease of communication amongst retrogaming fans generally works to ensure any thrift store asking $250 for an original NES keeps that NES on the shelf for quite some time. And what’s wrong with wanting more people involved in our little hobby? The more popular retrogaming is, the more avenues people will have for buying, selling, and trading titles, helping to keep the circle moving. If that means having to deal with a gradual increase in value much like any antique/collectable experiences, I myself would much rather contend with that than a select handful of people having control over the distribution of used games. In the interest of fairness, here’s what Little Samson may look like if you were to ever see one in person. Note: You’re probably not going to ever see one in person. Just stay informed of values and scarcity, don’t be a jerk when you try to sell anything, and as soon as you see a Goodwill asking $25 for the original Super Mario Bros, turn and leave. You can soon find someone who knows what they’re talking about to buy it from. There is also the fact that a lot of people who don’t even identify themselves as collectors (like me) and purchase games simply because they want to play them, are probably not going to look at selling them, knowing they’ll play it again some time later in their life, reducing the offer over time.